CLICK! That's the sound of a secure install. The SnugRide� SnugLock� 35 has a hassle-free installation using either vehicle seat belt or LATCH. In three easy steps you can feel confident you've got a secure install. The unique SnugLock� Technology helps provide a secure install through a simple push. The base with its 4-position recline and easy-to-read level indicator helps eliminate installation guesswork. Click Connect� technology provides a secure one-step attachment to all Graco Click Connect� strollers making it easy to create a custom travel system that best fits your lifestyle. 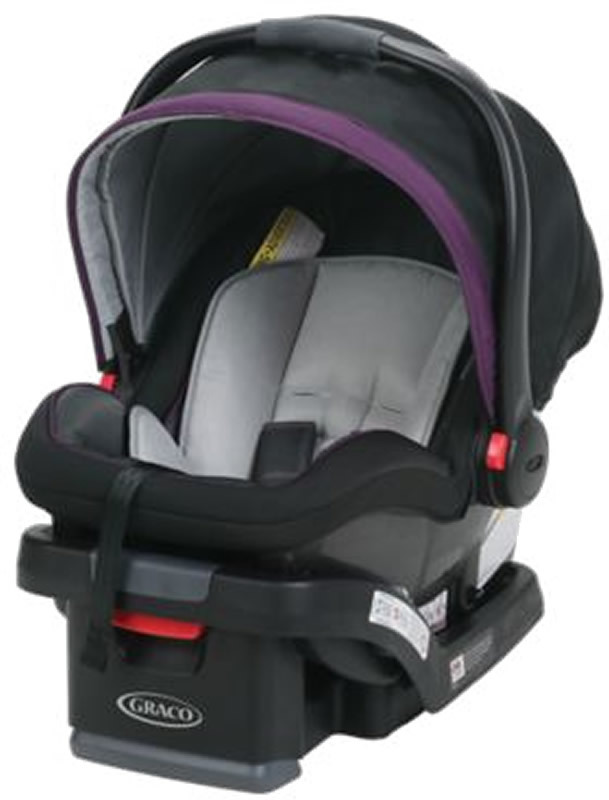 The SnugRide� SnugLock� 35 gives moms a peace of mind and helps protect rear-facing infants from 4 - 35 lb and up to 32". Looking forward to filling this seat soon. The SnugLock technology made installation easy and I've heard from many parents that it also makes operation a breeze. I have been so pleased with this seat! It's easy to get in and out of the car, not to heavy to carry, and not to mention baby is so comfortable in it! I love this car seat! Have been using it for almost 4 months now. My baby has always seemed very comfortable in it. The ease of the click connect base is amazing! Plus the car seat its self is not that heavy. The only reason I gave it 4 out of 5 stars is because I would like for it to have more room between the handle and cover. They are so close that when the cover is used it's hard to use your arm to hold the car seat. Bought this Graco SnugRide SnugLock 35 Infant Car Seat for my new born baby. It fits him perfectly, and I love the SnugLock design to provide more secure. Got it as a gift for our friends and they absolutely love it. We bought this for our first baby due in November and are very pleased with it. It was easy to install. We like that we have the option to install it using the seat belts or latch system. We tried it both ways and each provided a nice tight installation. The seat itself is easy to handle. A simple click and it inserts easily into the base. Overall a very nice car seat! I bought this car seat back in July for our little preemie and it is one of the best car seats I have ever dealt with. What I love most about it is the fact that you can connect this to the car base, disconnect and connect right to the stroller with no struggle. Adjustments are perfect and snug on our child. 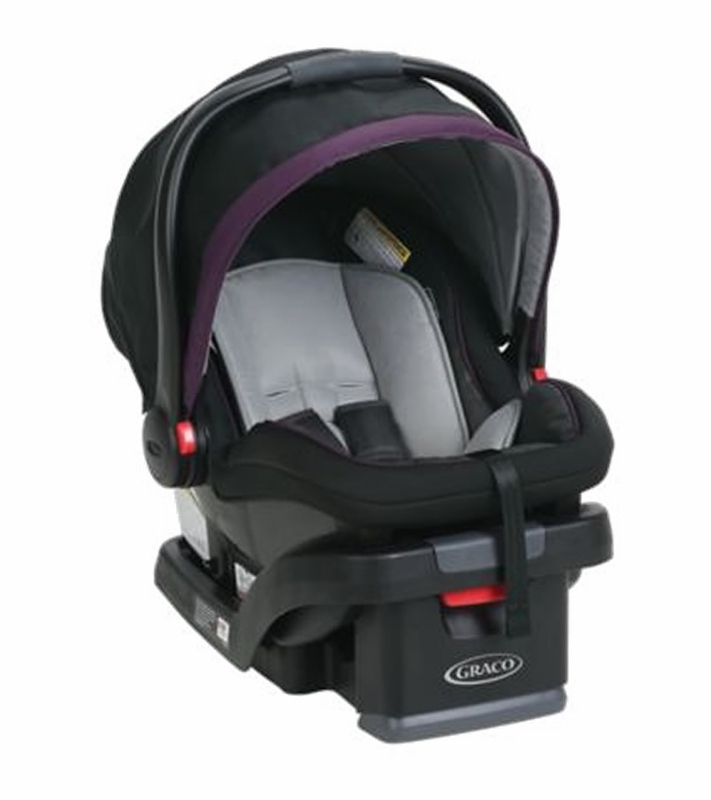 Great safety seat and very affordable. Easy to use and light to carry! Love it! Always used Graco products. I bought this carseat for my newborn baby boy and its the best carseat purchase I've ever made. It keeps him so comfortable and secure. Its very easy to get in and out of my car and very lightweight. I'm very satisfied with the graco 35 snugride and would definately reccomend it! I bought this in August and love it already. It was exactly what I wanted for our new addition! I made sure to get an extra base which is awesome for easy vehicle transitions. Now all we need is for our little one to arrive. Can't wait to use it!! We received this as a baby shower gift and couldn't be happier with it! It's so simple to click and go in the stroller, as well as in the car seat base! Bought this car seat a month ago for our fourth grandchild. I bought this for my 4th child as this is my 4th Graco infant car seat. The canopy is large and has a netting in the back to allow for air circulation. The car seat has enough cushion for a newborn and great side head protection. I really like the bubble indicator on the base to let you know if it is properly installed. Also, it is great to use with a Graco stroller because of one click. Overall a great buy as it is easy for me to carry and doesn't feel cheaply made. I love how easy to use the car seat is with the base! Installing the car seat base in the truck was easy as well! I am glad we went with this car seat. The biggest reason I picked the click connect car seat was the fact I can use the same base for ever stage! I love this infant car seat! Being a first time mom, there is so much to choose from when it comes to keeping your baby safe. This car seat is so easy to use! Easy to install, easy to get in and out of the car, easy to get the child in and out of and easy to adjust the straps for the baby! Not to mention this car seat is exactly what I was looking for when attaching to our stroller as well. Overall it is a great product! We bought this car seat for our first baby about two months ago and it's so easy to install. The seat has lots of cushion for a newborn but can also grow with him! It's not heavy and we take it everywhere. We bought this carseat for our first child. We researched for months and came to the conclusion that this carseat would be perfect for our little family. It arrived super quickly and we are thrilled to have it as part of our baby care routine. I bought this for my first grandchild. Very durable. Makes me feel safe when transporting my priceless cargo. We love the ease of using this car seat. This is our second child and first time using the snugride snuglock 35 and what a difference! We had used another brand the first time, but we should have just gone with graco. It fits with our stroller, the second base for dad's car was very inexpensive and it looks good. Installing the base was easy as well. Love it. Im so glad I bought this. I had an older graco carseat to compare to and so far this one is the best one I had for my baby. It's more padding. Transfer easily to stroller , and with bases in each car , makes life so much easier , snaps into base and off you go! We just bought the stroller about a month or so ago and love it! It's easy to get the car seat in and out of. The one challenge for me being shorter (5'2) is that the stroller is more or less chest height, so it's a little bulky for me to handle when collapsing it down and putting it back in the car. The stroller does provide a smooth ride and easy maneuverability. I like the versatility with this car seat. The product was easy to install. We bought 3 of them. I bought two of these for my twins and we love that they are lightweight and easy to get in and out of the car should make life so much easier carrying two! Loving the car seat so far! Very easy to install in the car. 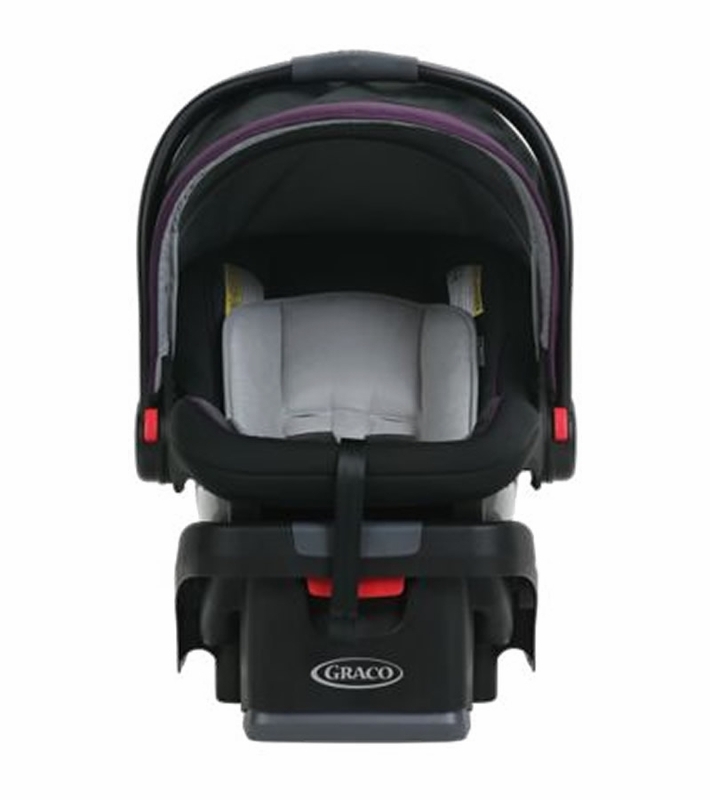 Connects easily to my click connect Graco stroller as well! No complaints - glad I bought this one after much research! We love the ease of installation and use for this carseat - my husband is very tall and I'm very short/small, but this seat allows both of us to carry it easily and click it in and out of the base in the backseat. The features on it (the markings and the bubble indicator on the side) help us feel safe and know that we've installed the base properly for our newborn. We bought this carseat for our newest addition after LOTS of research. We love that it's a Graco product. I purchased it online and was so impressed when it arrived! It's a very luxurious carseat. I love that it's a click connect and have purchased the Graco Modes stroller and a Graco Trax jogging stroller to use with it and it works perfectly with both. Definitely recommend! I bought mine a few months ago and I love it. Also is light weight. We bought this carseat for our first grandchild. It is perfect for the baby as she grows.We also bought a second base for the second car. I love this cars seat. It is easy to buckle my child and transfer from one vehicle to another. I feel that my child is safe in this seat. I love this car seat! We originally had a different seat and my little guy would cry every time we put him in it. Since we invested in this seat he falls right to sleep and I love the fact that it's not only comfortable but safe. It's easily attached and detached from its base. It's lighteright and it looks good too. So happy with this purchase. Easy to install and lightweight! I am so happy with this car seat so far! It was very easy to install and remove, lightweight, and easy to carry. We are expecting our little one soon and am eager to use it...also clicked in easily with the fast action jogger. Light weight, and easy to install! I bought this a little less than a month ago, and I am SO happy with my purchase! I hadn't bought a car seat in over 2 years so I wasn't sure what I was getting, but this one is absolutely perfect for our families newest addition! I purchased the SnugRide SnugLock 35 Elite Infant car seat about a month ago. I love the look of the seat. I chose the "spencer" color. My favorite part about the seat are the adjustable bases. It makes switching vehicles a breeze. I would definitely recommend this to new moms! We started using this at 5 lbs 9 oz and she loved it! We couldn't be happier with the comfort, fit, and look. We would definitely recommend the entire travel system! Love love love! I just bought this for my grandson. We are still awaiting his arrival but it's easy to install and seems to be very nice. I will update again after we have used it a few times!! Bought this for our 5 month old who outgrew my Graco SnugRide 22 and absolutely love it!! Base was SO much easier to install! We really love this car seat. The click connect feature is awesome. I just wish it came with a removable head support. I bought two of these for my granddaughters. I haven*t used them yet but they appeared to be very safe. This car seat is so lightweight! 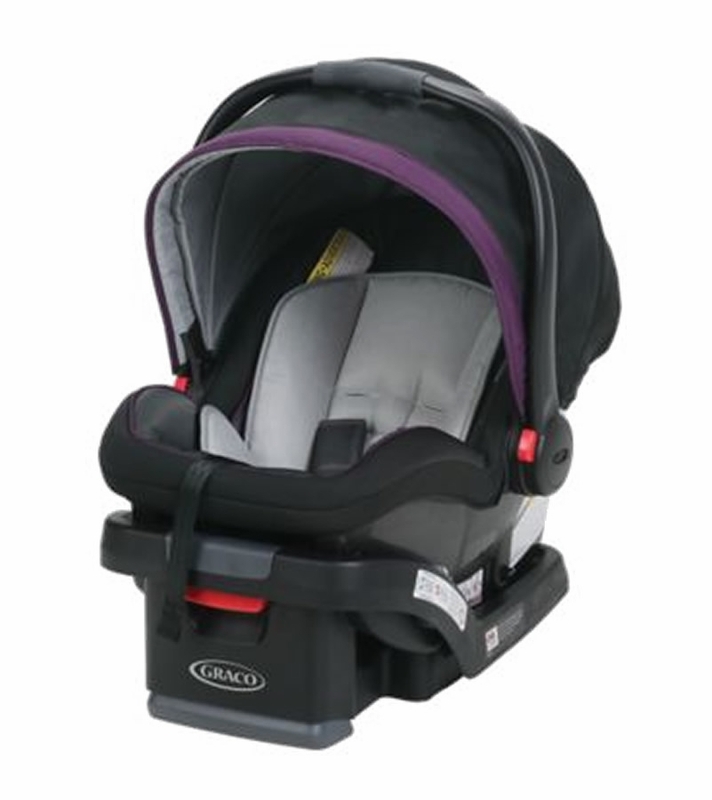 It is easy to maneuver in and out of the car and provides great cushion for the baby. The quick connect system is affordable and easy to use. I got this car seat last month and I'm so glad that I chose this particular one. It is extremely light weight and easy to clean. I got the first one from my baby shower and love all the features of it. Its convenient with a simple click it connect to the stroller. The material is great and the base is easy to setup. I love it so much and end up buying another one. It was a gift from my sister and I love how easy it is to use. Love this carseat, me being short at 5ft and smaller built it's so easy to handle and lightweight and not bulky feeling like alot of other seats. And it actually comes with a base to:) I couldnt be happier with it! We bought this carseat for our 2nd child. We were very unhappy with our first brand with our first child due to feeling he didn't fit snuggly in his carseat and his head fell over a lot. With our new Graco, the padding all around the baby is wonderful! We don't feel like he is going to slip right out. The only complaint we have is with the visor part. It doesn't move very easily, but could still be too new and just needs broke in. Bought this car seat a couple weeks ago after debating on several different ones and I don't regret my decision to buy this one.